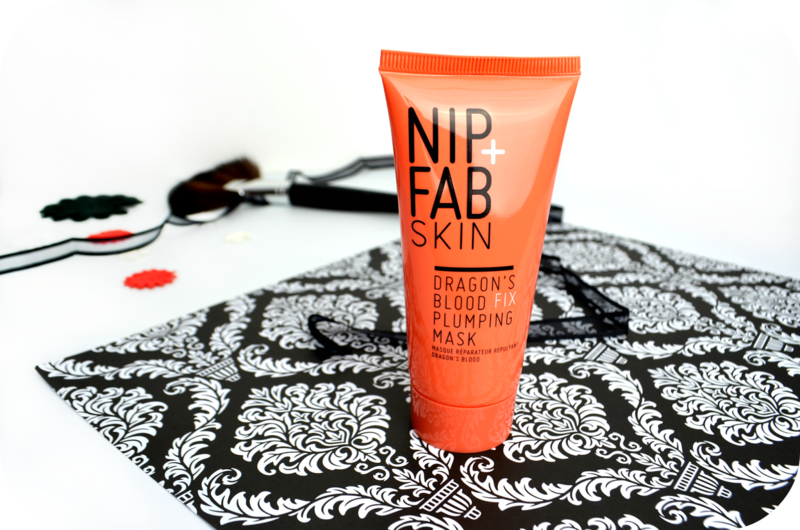 I’m going to be completely honest and say when I first purchased Nip + Fab Dragon’s Blood Fix Plumping Mask, I didn’t read the box properly so when I got home I panicked a little when I read the word “plumping”. My cheeks are pretty round enough as it is, I did not need any more ‘plumping’! So for that reason I kind of left this purchase in the back of my skincare drawer for ages. Yes I have a drawer dedicated to skincare, please don’t judge me! Last month after a good clear out I came across the box again and figured I’d give it a go. After a much closer read of the box and some online research Nip + Fab claim that this mask is “An intensely hydrating gel mask combining multiple skin perfecting complexes to plump the look of wrinkles and refine the skin’s appearance for a brighter, more youthful looking complexion.” Sounds pretty good to me! I don’t actually have wrinkles at the moment but I do have acne scarring so I was hoping this might help with it in some way. 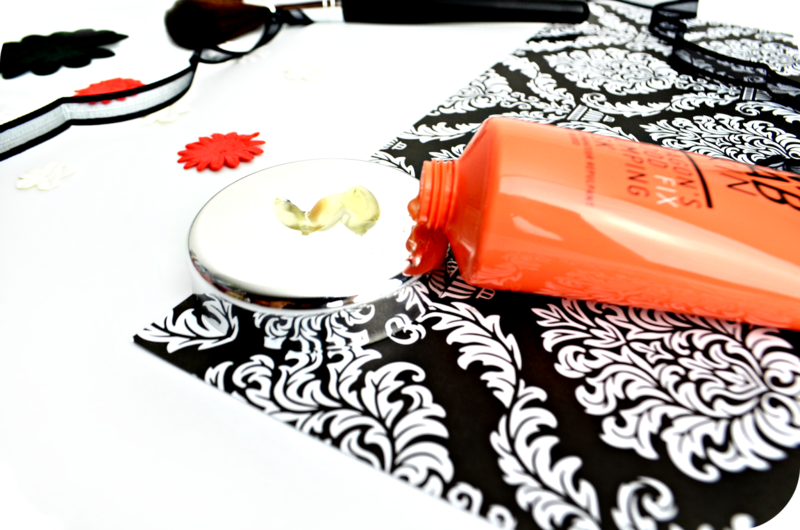 The packaging of the mask is a very bright orange tube with a screw cap. I actually love it, easy to store and I love that plastic tubes mean you can always cut them open to scrape out the last bit of your money’s worth. Waste not want not! I also only very recently learnt that Nip + Fab is owned by Rodial, a high end innovative skincare brand. The fact that Nip + Fab’s viper venom fix is SO good finally made sense! This news made me even more eager to try out the mask. The first thing you’ll notice when you open the tube is the overpowering fragrance of the product. The smell is a pleasant floral smell but boy does it linger. Even after washing the mask off, the smell seems to hang around and I’m not even kidding, I’m pretty sure that once the smell even transferred from my (washed) face on to my pillow – not good. Aside from the smell, the only other negative that will be putting me off buying this product again is that there is a lot of ingredients ending with “-ol”. For me this counteracts what this product aims to do, because too much alcohol in products means it will definitely be drying out your skin. The mask itself is a transparent gel like consistency with a slight yellow tinge. It’s very easy to spread on to the face and after ten minutes it’s pretty much dried and is unnoticeable. After using it for ten minutes as directed for about 3 weeks, I’ll be honest I noticed absolutely no difference to my skin at all except the fragrance being transferred on to it. I decided to try and use the mask overnight (on the nights where I’d be changing my pillow cases the next morning!) and even then I noticed very little difference. The very small change that I did notice was that the dry patch I usually get on my forehead just between my eyebrows wasn’t dry anymore but this could of could be just a happy coincidence because I’ve upped my water intake. After knowing the amount of drying ingredients that are in the product, as well as the seriously overwhelming fruity fragrance I decided I that I most probably wouldn’t continue to use the product nor would I repurchase it. It may have had some hydrating qualities but not enough for me to want to continue putting the compounds/ingredients on to my face regularly. That being said, just because it didn’t work miracles for me, it might work for you. Priced at just £14.95 for 50ml, it’s not too expensive to see if it works for you.